Educate Nepal Mission Teams: Tuesday 28th January. Parting with their babies. Today is our last day, heading out at midnight; flying to K.L. for a two hour stopover and onto Yangon for 8 days. I am looking forward to seeing Myanmar. It is my first visit. I am looking forward to some warmer weather also. Above, my lovely girls with the work of their hands. 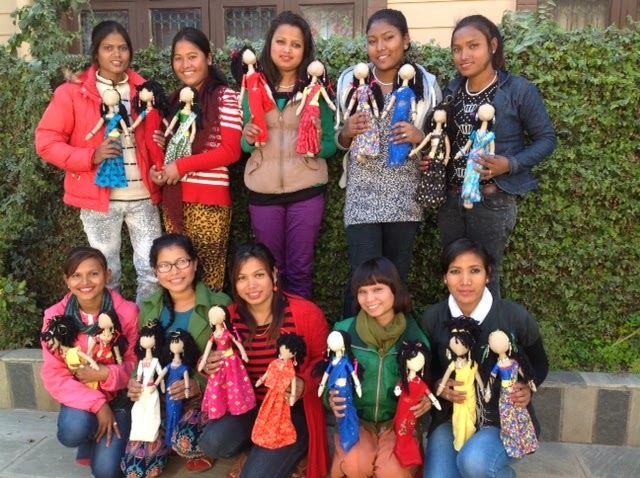 They were so excited this time; thinking of new hairstyles and other Nepali dresses apart from Saris. Next week they return to tailoring and beauty training. Hopefully, wifi will be OK in Yangon.